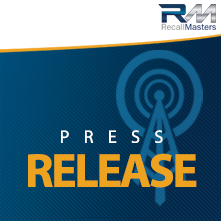 Laguna Hills, CA– November 1, 2016 – Recall Masters, Inc., the leading provider of automotive recall news, data, training, and communications, today announced that, due to high market demand from and many auto dealer questions about workable solutions for the current recall crisis, it will attend two upcoming Fixed Ops conferences in Las Vegas, NV, this November. Recall Masters will be present at the Fixed Ops Magazine Conference & Expo, at the South Point Hotel, November 14-16, 2016, booth #313, in Exhibit Hall B. And the MOPAR – California, Denver & West Business Conference, at the Planet Hollywood Resort and Casino, November 14-15, 2016, booth #101. “Recall Masters is excited to attend these two important Fixed Ops shows in November as recalls are currently such a hot and vital topic for auto dealers,” said Christopher Miller, CEO Recall Masters, Inc. “We continually evolve our systems and database to provide the most relevant information possible to consumers and their automotive service providers and at the Fixed Ops show, we plan to help dealers better manage the wave of recalls to hit the market. While at the MOPAR conference in Orlando last month, conversations revolved around how FCA dealers can better connect with consumers through the recall process. We know FCA dealers based on the west coast will benefit from the same knowledge at the Las Vegas show,” Miller added. Recall Masters is the leading provider of automotive recall news, data, training, and communications. The company is dedicated to helping automakers and their dealers expedite the repair of recalled vehicles and make the roadways safer for everyone. Greater recall awareness and proactive management helps automakers protect their brand and build trusting relationships between automotive dealers, rental car agencies, auto auctions and consumers alike. At every touch point from vehicle sales, to loaner cars and inventory management, automotive repair scheduling and service lane visits, to auto rental and corporate fleets, Recall Masters places actionable information at the fingertips of automotive sales, rental car agencies, fleet managers, municipalities and service centers, as well as consumers, nationwide. To learn more about Recall Masters complete beginning-to-end solution, schedule a demo or receive a free trial call: 888-651-4480; email info@recallmasters.com; or visit: https://www.recallmasters.com.